Contributing to a Registered Retirement Savings Plan (RRSP) is a great way to lower your income tax payable or increase your refund – but that’s not the only benefit. The money you contribute to your RRSP today will grow tax-free for many years to come, and can play a vital role when you buy a home, return to school, or to finance your retirement. For example, let’s say you’re filing your 2017 tax return. You’ll need to specify how much you contributed to your (or your spouse’s or common-law partner’s) RRSP between March 2 and December 31, 2017 as well as the amount you contributed between January 1 and March 1, 2018. If your contributions exceed your RRSP deduction limit, the Canada Revenue Agency (CRA) won’t allow the contributions you’ve made between January 1 and March 1. It’s up to you to decide how much of your contributions you’d like to deduct on your return, up to the maximum of your deduction limit. If you decide to deduct only a portion of your contributions, the remaining amount will be carried forward for use in a future year. Tax Tip: It’s generally recommended that you deduct just enough of your RRSP contributions so that your tax owing is zero; this will maximize the amount that you can carry forward. Can I contribute to my spouse’s RRSP? Yes. However, you should be aware that when you contribute to your spouse’s RRSP, it will lower your RRSP deduction limit. Karen has an RRSP deduction limit of $10,000 in 2017. She contributes $6,500 to her RRSP and $3,500 to her spouse’s. While Karen’s contribution to her spouse’s RRSP lowers her deduction limit by $3,500, Karen is entitled to claim a deduction for the contributions she’s made to both her and her spouse’s RRSP. How do I know how much I contributed to my or my spouse's RRSP? The issuer of your RRSP will send you a receipt showing how much you or your spouse contributed to the RRSP over the course of the year. If you’re expecting a receipt and didn’t get one, contact the company that issued you your RRSP. How do I set up an RRSP? You can set up an RRSP through different types of financial institutions including your bank, credit union, trust, or insurance company. The issuer’s (the person or institution with whom you opened the RRSP) responsibilities include registering the plan, receiving the amounts that you contribute, and trading the securities that are held within the plan on your behalf. Can I transfer other amounts to my RRSP? As long as you’ve got contribution room, you can transfer certain amounts you received during the year either directly or indirectly into your RRSP. A direct transfer means that the funds (which are considered taxable income) are contributed to your RRSP without being taxed. An indirect transfer means that the amounts that you’re transferring have been paid out to you and you need to make the RRSP contribution yourself. For example, a direct transfer to an RRSP or RPP of an eligible retiring allowance (like severance pay) will not have income tax withheld at source. If, however, you physically receive the funds and then use them to make a contribution to your RRSP (an indirect transfer) they will be taxed. For more information, refer to the CRA guide, RRSPs and Other Registered Plans for Retirement. Depending on your situation, the amount you’re allowed to transfer to your RRSP will vary. For example, you can only transfer the eligible part of your retiring allowance to your own RRSP (or SPP, RPP, or PRPP). As a rule, the eligible part you’re allowed to transfer is $2,000 for each year or part-year of service before 1996 in which you worked for the employer (or a person related to the employer) that paid you the retiring allowance. For 2017, the eligible part of your retiring allowance can be found in box 66 of your T4 slip (an amount in box 67 represents the part that isn’t eligible for transfer). For more information on transferring this, or other types of property to your RRSP, refer to the CRA guide, RRSPs and Other Registered Plans for Retirement. 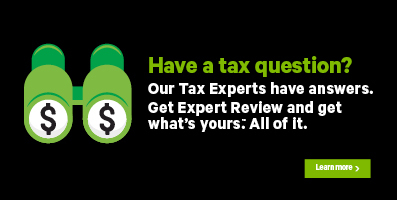 Note: If you’re a resident of Québec, H&R Block’s tax software will use the information you enter on your federal RRSP contributions and HBP or LLP repayments (Schedule 7) page, in your Revenu Québec return. When you arrive at the RRSP contributions and HBP or LLP repayments page, enter your information into the tax software.